Sirius, known as the Dog Star, appears as the brightest star in the night sky. 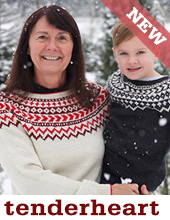 With sparkling dotted and diamond motifs, this is a simple but satisfying yoke sweater! 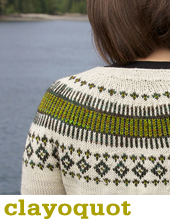 Dog Star was developed using Strange Brew - our Fair Isle yoke recipe pattern. 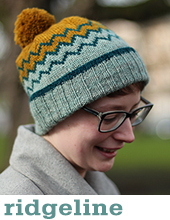 Take a look at that Strange Brew if you want to 'colour outside the lines' and create your own custom yoke.